Adam serves as a GHHI Social Innovation Specialist. In this role, he leverages Pay for Success and other innovative financing models to drive investment in evidence-based preventative health interventions that improve health outcomes at scale while reducing medical costs in communities across the United States. Prior to joining GHHI, Adam served as a strategy consultant at McKinsey & Company where he advised clients in the healthcare, high tech and basic materials industries. His previous experience includes working in the public sector for both the Federal Trade Commission and the Office of the New York State Attorney General as well as in technology commercialization at the University of Michigan’s Technology Transfer Office. 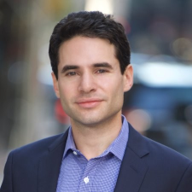 Adam earned a JD from the University of Michigan Law School and an MBA from Oxford where he served as a portfolio manager for the business school’s venture fund. He currently serves on the Board of Directors of The Foundation for Peripheral Neuropathy.